The Jewish wedding is a powerful and uplifting event. Read about the engagement preparation period, the ceremony itself, as well as the week and year that follow. 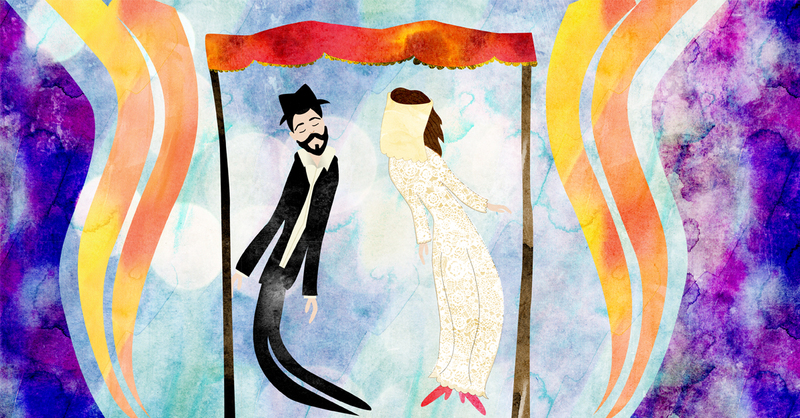 An eleven-step guide which will lead you through a traditional Jewish wedding. Learn about its basic laws, traditions, and their meanings. Laws and customs for the first week after marriage -- the "Sheva Brachot" week -- and for the first year following the wedding. Essays, insights, and in-depth articles discussing the engagement, the wedding, and the festive week that follows; along with useful tools and texts.